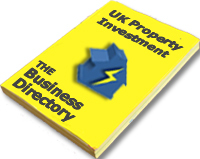 Currently viewing the tag: "programme"
If Your Property Business Isn’t Making A 6 Figure Income…Read This! If you spend as little as 10 minutes a day, trying to visualise what it is possible to achieve through business, then it’s virtually guaranteed that you’ll want to get out there and actually achieve those things. Think of all the things you wanted to do as a kid? Think of all of the dreams you have right now that you want to achieve? Think of the places you want to travel to that you haven’t been yet? Think of the experiences you want to mark as your own that you haven’t done yet? I hope so because one very lucky person is going to be awarded a full scholarship on Simon Zutshi’s next Property Mastermind Programme, and that could be you! The investment to join the 12 month Property Mastermind Programme is currently £11,997 (GBP) + VAT which is no small investment, but serious investors are queuing up to pay and get onto the Property Mastermind Programme because of the life changing results that delegates consistently achieve. 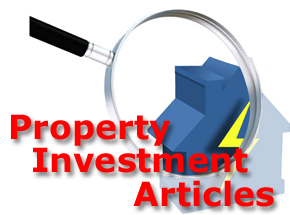 Simon Zutshi has been investing in property since 1995 and is the founder of the Property Investors Network (PIN) and author of the best selling book “Property Magic”. Simon was finacially free by the age of 32 and is highly regarded as one of the UK’s leading property investment educators and mentors. How would your life be if you had a £50,000+ (GBP) passive income and have a £1 Million (GBP) property portfolio, in just 12 months, using other people’s time, money and experience? How would you like to join Simon Zutshi’s next 12 month, life changing, Property Mastermind Programme for FREE? The next Property Mastermind Programme is starting in less than 3 weeks. It is now SOLD OUT apart from one space which Simon has reserved for one lucky person who will be awarded this full scholarship. join Simon on a NO COST webinar on Monday 8th April at 9pm. I do hope you seize this opportunity to find out about this life changing opportunity. PS This is open to everyone with an interest in property investment, but you have to be in it to win it. Someone has to win this scholarship and it could be you. You need to take action now if you want to be successful. There are 2 Million people on housing waiting lists – and yet 1 Million properties are still remain empty or uninhabitable. Along with landlords from hell, the empty property debacle is one of the issues being aired in Channel 4’s new ‘Great British Property Scandal’ season which starts on TV tonight. Tackling the 1 Million empty residential properties across the UK is one of the top priorities of the Government’s new housing strategy and a key feature in the drive to increase the provision of affordable housing. As yet there has been no mention of agents or individuals in any of the publicity material released by the television company, but the series does promise to be uncomfortable viewing for many UK landlords.